Backwater fishing in Holden Beach, NC. is still on fire. This has been my fourth trip in a row and every fish we hooked today was a keeper.!!! They have to be 14 inches in order to keep, but these fish are all around the 19 to 20 inch mark. A cold front is moving in tonight and the high tomorrow is supposed be in the mid 30’s with winds gusting to 35 knots. Most people will be staying inside, but Im going as a challenge to my self just to see if I can still catch trout with the weather as bad as its going to be. STAY TUNED. 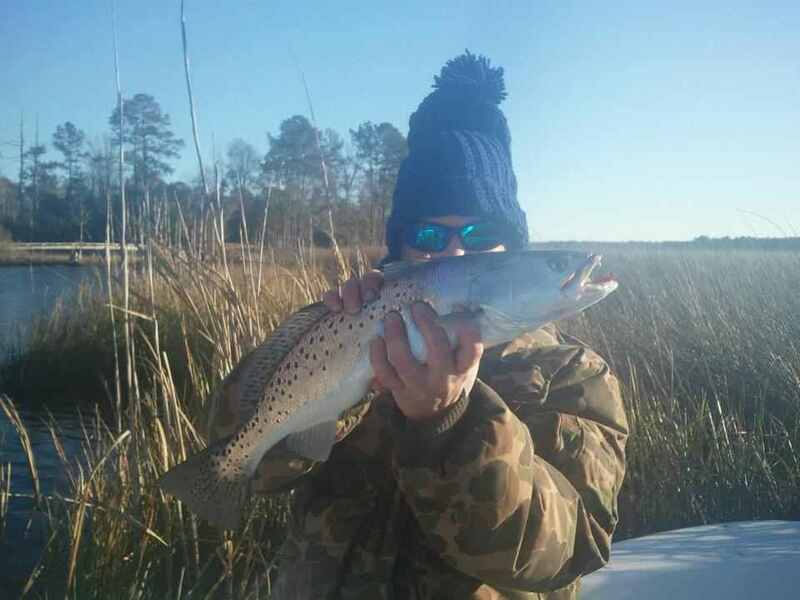 « 1-1-12 New Years Day Backwater Fishing w/ Rigged & Ready Charters In Holden Beach, N.C.